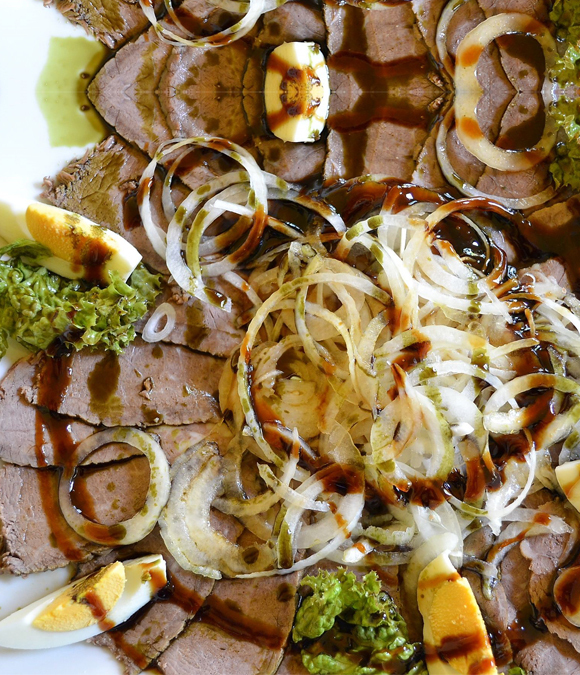 A classic snack is a Styrian sour beef with Styrian Gold pumpkin seed oil. This culinary delight will melt in your mouth. 2. Season with salt and pepper, pour chopped or thinly sliced onion,vinegar and Styrian Gold Pumpkin Seed Oil over it.